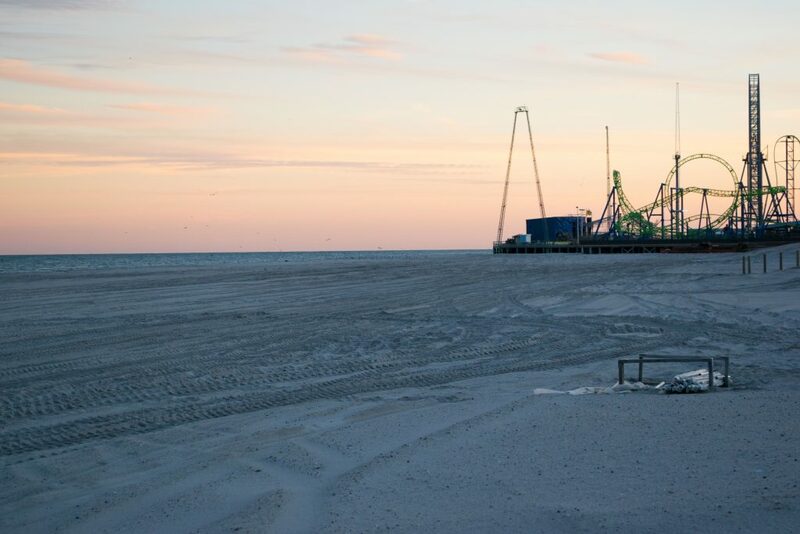 The view on a chilly late afternoon on the cusp of winter in Seaside Heights gives a glimpse into the future of what the beach and boardwalk will look like come summer. The ongoing island-wide beach replenishment project has made its way through the northernmost portion of Seaside Heights, with sand now being pumped onshore near Blaine Avenue, adjacent to Casino Pier. But between the pier and Hiering Avenue, the borough’s northern border, the sand-pumping is complete, and the beaches are massive. The U.S. Army Corps of Engineers project has extended beaches by at least 200-feet in front of dunes that rise about 18-feet above grade. Contrary to some earlier prognostications, the dune does not block the entire view of the ocean, though it provides a visible barrier between the Atlantic and the boardwalk which will eventually be anchored by dune grass. 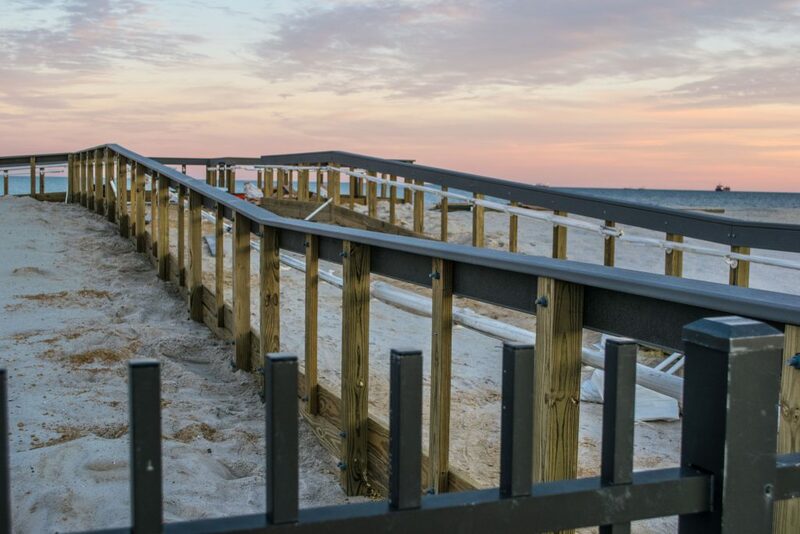 New beach entrances are currently being installed and will travel over top of the dunes rather than cut through them – a much different setup than the direct stair and ramp access from the boardwalk. But these types of entryways guarantee that no portion of the boardwalk and oceanfront businesses will be without protection, and flood water will no be able to funnel into one particular opening. The walkways will be constructed at each beach entrance – the same aesthetic view that has been constructed in towns without boardwalks, adding a contrast of a natural feel to a busy summertime mecca of entertainment just a few feet away. Crews from Weeks Marine, the federal government’s contractor, are working 24 hours a day to complete the project. 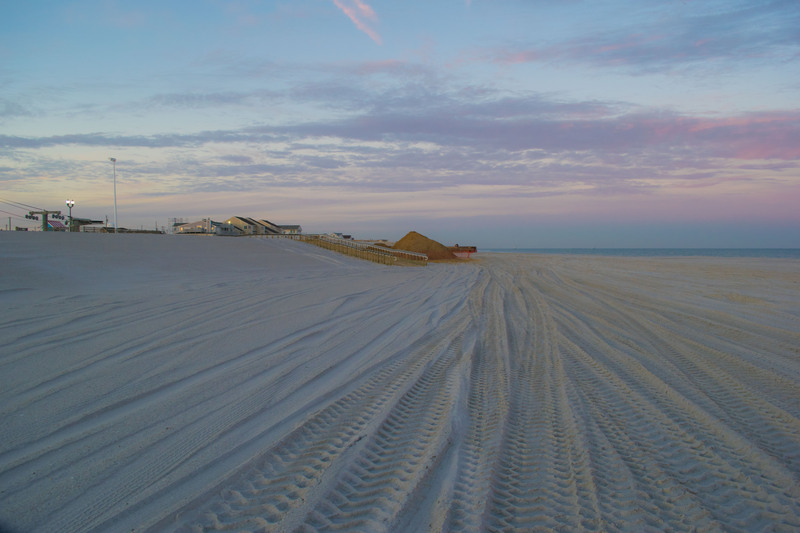 According to Army Corps officials, the Seaside Heights portion of the work is scheduled to be completed in mid-February.